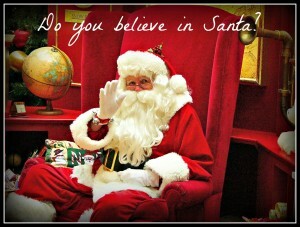 Some parents are afraid to lie or deceive their children into believing in Santa Claus. Yet, when children learn the truth, they do not feel cheated. Often they themselves become complicit in their parents with younger people. Stop believing in Santa Claus, it’s sort of a rite of passage at the age of reason, showing that they are no longer babies. But until then, that beautiful moments Santa can make them live! Why are children so easily they believe in Santa Claus? Before the age of 6 years, the child needs to see and touch to understand the world around them. For him, Santa Claus really exists as seen, he can feel and hear laughter. It even has a street address. The fact that the cookies are gone it leaves him on Christmas morning is further evidence of its existence. 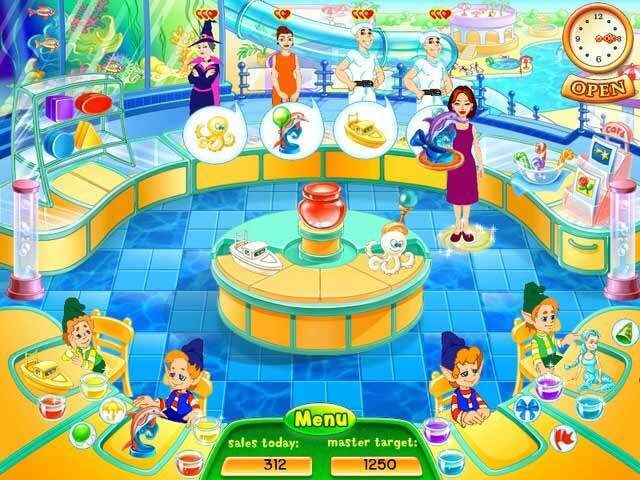 Based on these specific items, the child can easily get into the imaginary world and represent Santa Claus flying in the sky on Christmas Eve, and then enter his house and put gifts under the tree. It will not stop the fact that there is no fireplace in your home. If you made the remark to him, he will find an answer that suits him. Santa can pass through walls or windows. 2 to 3 years, it is possible that the child does not want to approach the Father Christmas, much less get on his knees taking pictures. This big man, dressed all in red and laughing loudly, makes him a bit scared. To 3 years, however, it will readily agree to touch him, talk to him; it might even send him a letter. If your child make a list of gifts they want to receive, no need to restrict it. By cons, once the list is complete, you can bring in Santa saying: “You know, it’s Santa Claus decides. It will perhaps not give you everything you want. Perhaps could you indicate 1 or 2 him you would most like to receive: it would help. Do you even lift. Is not it wonderful to be able to call this nice gentleman rather than explain to your young child, for example, you do not have the money to buy everything? He will think you only have to go to the bank to have: banks are made for, right? They make such a remark will help avoid disappointment on Christmas. When it will stop believing in Santa Claus, he will have already learned to make choices. Furthermore, this list will help to provide gift ideas for loved ones who so request. 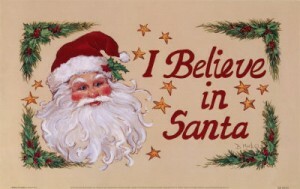 Some children stop believing in Santa Claus to 6 years, some 7 years or even later. These are the comments of the other kids at school who often germinate the first doubts. When your child asks you: “Is there for real Santa? “You can return the question to him:” What do you think, do you? “His answer will tell you about his desire to believe again. The ideal in this “rite of passage” is to keep pace with your child, to strengthen him in his desire to believe or not. Some parents are upset that their young children do not realize that gifts received come from them. It is only a matter of time they become aware and, by then, you will have furnished their childhood wonderful memories that will last throughout their lives happily. This entry was posted in Occasion and tagged Believe, care, child, Santa.